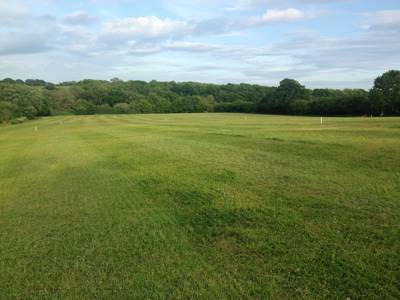 Pitch on the doorstep of the stunning South Downs National Park - campfires allowed! (Price includes one Adult entry worth £8 per day to Bentley Wildfowl and Motor Museum). Some 700 years ago, the pastoral parkland of Bentley belonged to the Archbishop of Canterbury who later granted it to a local aristocrat. Perhaps he sprinkled a little holy water amongst the meadows because, when it comes to camping, this place is truly blessed. On the first day the Lord gaveth grassy fields and ageing oaks, on the second he sculpted tearooms, a museum and an adventure playground and on the third day he produced fire (and maybe a marshmallow or two). 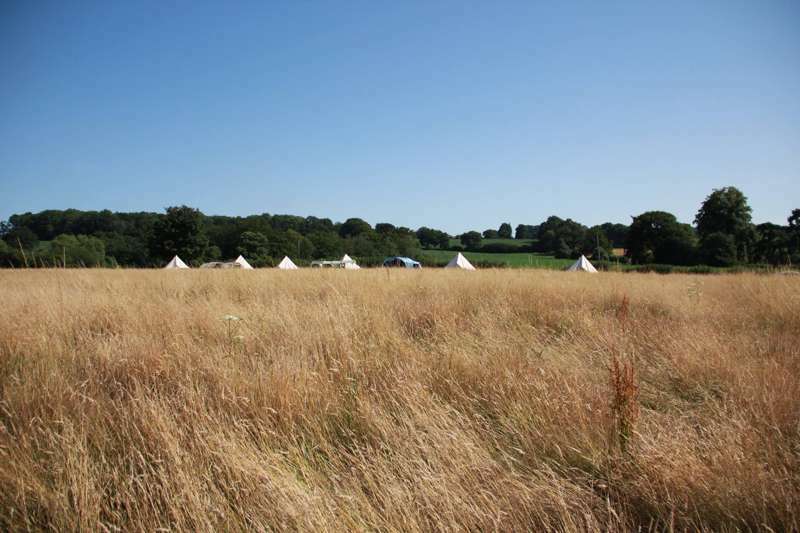 The Eden created is a combination of simplistic tents-only camping with a host of walkable activities on the doorstep. A real camper's paradise. 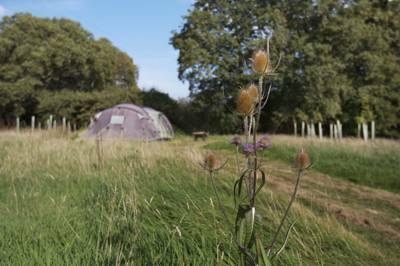 Surrounded by woodland and hedgerows, this unpretentious site has no electric hook-ups and just 30 ample pitches despite is expansive grounds. Campfires, as you’ll guess from the name, are an essential part of an evening beneath the stars. And when daylight returns, there’s an endless list of things to do. Head across the field to the Bentley Motor Museum where you can hop aboard the miniature railway, touring the huge estate, or wander through the wildfowl reserve, the most diverse private bird collection in Europe. After a relaxing cuppa in the tearooms, hop in the car for a speedy journey through the countryside – despite its rural seclusion, some of the best attractions in Sussex are just a short drive away. Embers Bentley is both a gateway to the treasures of East Sussex and a county jewel in its own right. The crooked Georgian dwellings of Lewes are just a few miles away, straddling the River Ouse as it carves through the South Downs National Park. To the east, the historic towns of Battle and Hastings are preceded by Herstmonceux Castle. Then, of course, there’s the coast (a 25 minute drive away) and the beautiful inland surroundings, boasting a plethora of outdoor activities. 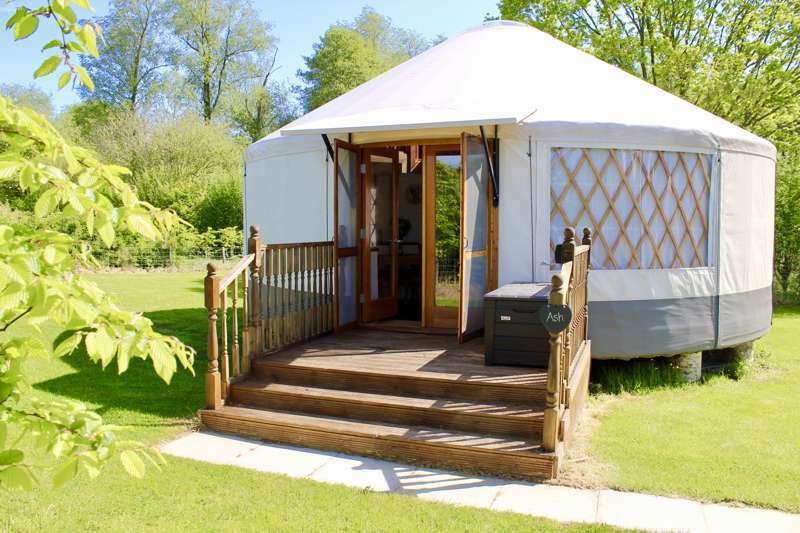 At Embers you get to blend quiet, authentic camping with a collection of extra luxuries – the wood-fired pizza oven and a popular little ice cream parlour. Throw in those nearby attractions and you've got everything you need. 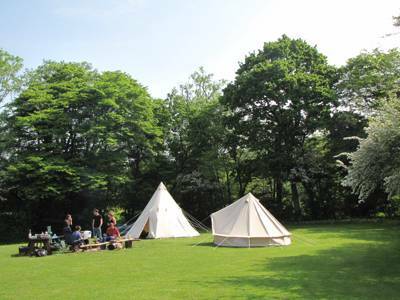 Embers Camping Bentley is located on the doorstep of the stunning South Downs National Park and Sussex Coast, at the Bentley Estate in East Sussex, giving you the perfect rural retreat for your holiday. 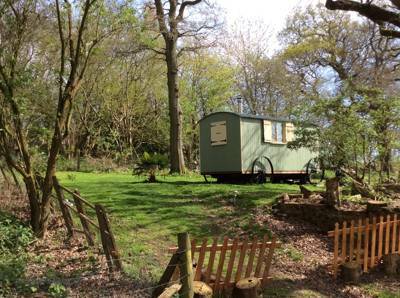 Surrounded by woodland and hedgerows with a new oak framed shower block, this unpretentious site has no electric hook-ups and just 45 ample pitches despite is expansive grounds. Campfires, as you’ll guess from the name, are an essential part of an evening beneath the stars. That’s why when night-time falls at Embers Bentley, your own personal campfire lights up! To cook on, to tell spooky stories around, or just to warm your toes with a nice bottle of red. And when daylight returns, there’s an endless list of things to do. Apart from exploring the picturesque grounds in the estate or playing games in the camping field and wooden adventure playground, you can take a family trip on the miniature Bentley railway, visit the unique collection of cars and motorcycles at the Bentley motor museum, view the amazing collection of wildfowl birds, or indulge yourself at the tearooms with afternoon tea and cake – all conveniently located within walking distance of the campsite. Embers Bentley is both a gateway to the treasures of East Sussex and a county jewel in its own right. The picturesque vast estate and quiet camping meadow is a prize pick for campers who want to escape the rush of everyday life, while still having every attraction nearby. Stayed with a group of friends - 5 families in total - and loved the big open field. The campsite was full but it didn't feel like it. We had loads of room around us and other campers were at a good distance. Facilities were good and the surrounding area full of things to do. 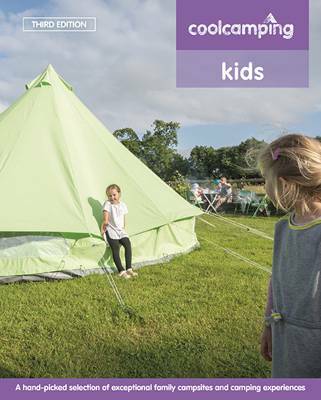 Perfect rural family camping at its best! 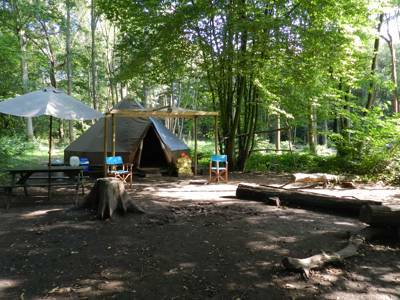 We chose this campsite from Cool Camping and it certainly was! A stunning rural peaceful within woodland and farmland surrounds but only 20-30 minutes drive from the coast. Embers really lives up to its name with free fire pits included with every pitch, which was one of our top preferences as we love to cook over a proper campfire and sit around it all evening keeping cosy and toasting marshmallows. The whole vibe of the campsite was low key, laid back, let you just get on with relaxing, from choosing your pitch on arrival, to storing ice packs as needed, logs and supplies available to purchase, amble trundle trucks to take supplies to and from cars, option to unload and load with cars by your pitch, and oodles of useful helpful local knowledge and information. 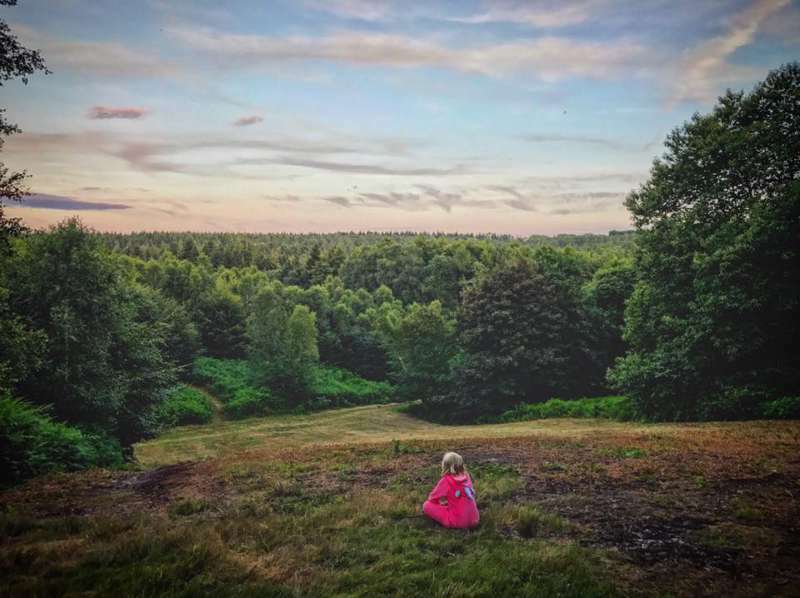 To top this all, with Bentley Wildfowl and Motor Museum Play Area and Minature Railway right next door, as well as Branching Out Adventures, and stunning scenery for local bike rides, you could set up and stay and not use your car at all if you fancied. The campsite had a fantastic (if slightly small) beautiful oak built toilet and shower block kept clean and the owners/staff went out of their way to be helpful and friendly at all times, even letting us use one of their ready tents for our last night, to enable us to pack up a dry tent to take home, couldn't have been any better! We stayed in July as a big group of 9 families - the campsite is great. Big and spacious, so we didn't feel we dominated the site - helpful team, and good facilities - clean showers/loos/washing up basins with hot water. 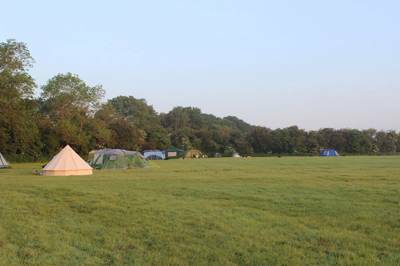 Some of our group rented tents which were in good condition (we had a problem with one which they sorted out). The only issue was the heavy rain which made the car park pretty muddy so quite a few cars got stuck... We're booked to go back next week and probably next year too. Highly recommended. Stayed in May 2016 for a weekend. Great campsite, each pitch having a fire-pit. Shower facilities are great - showers clean, hot and powerful. No cars on pitches which is great. The manager was very accommodating - provided us with extra fire wood (at no charge) and was very welcoming. Highly recommended. I'm looking forward to returning! Great facilities and a really unique site. We loved the miniature railway and all the wildfowl. What a lovely corner of the World! We stayed here for 25th and 26th september. The facilities are brand new, very clean, well stocked with toilet paper, hand soap, hand towels, dish soap and dish cleaning equipment. All staff are friendly and very helpful with advice on what to do and see in the area. The fire pits are an amazing addition as well. 45 spacious, tents-only pitches with no electrical hook-ups. Tent campers, groups – yes. 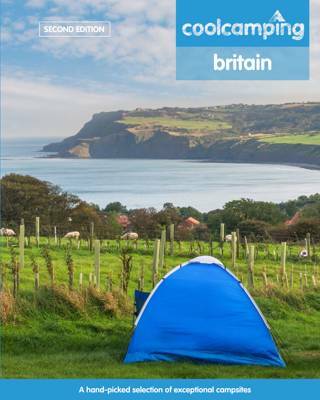 Caravans/campervans/motorhomes, dogs – no. Purpose built washroom facilities with under-floor heating (powered by solar electricitiy) piping hot shower cubicles with enough space for a family shower and rustic outside basins to wash the camping dishes. You don't need to be a classic cars enthusiast to appreciate the Bentley Estate. 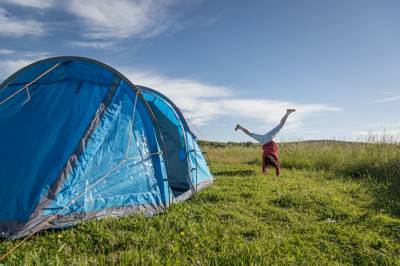 Along with the motor museum there's a miniature railway, a wildfowl reserve and a stonking great campsite where campfires are practically obligatory. Sussex is rich in history with both Lewes Castle (01273 486290) and Herstmonceaux Castle (01323 833816) nearby. The famous sites of Battle (01424 775705) and Hastings lie just beyond. A 10 minute drive leads you to the South Downs National Park (03003 031053), stretching across the county and down to the Sussex Heritage Coast (03456 080193), home to countless good beaches, chalky cliffs and the Birling Gap (01323 423197). The national park hosts a wealth of outdoor activities including horse riding, boating and canoeing along with excellent walking and cycle routes, most notably the famous South Downs Way. 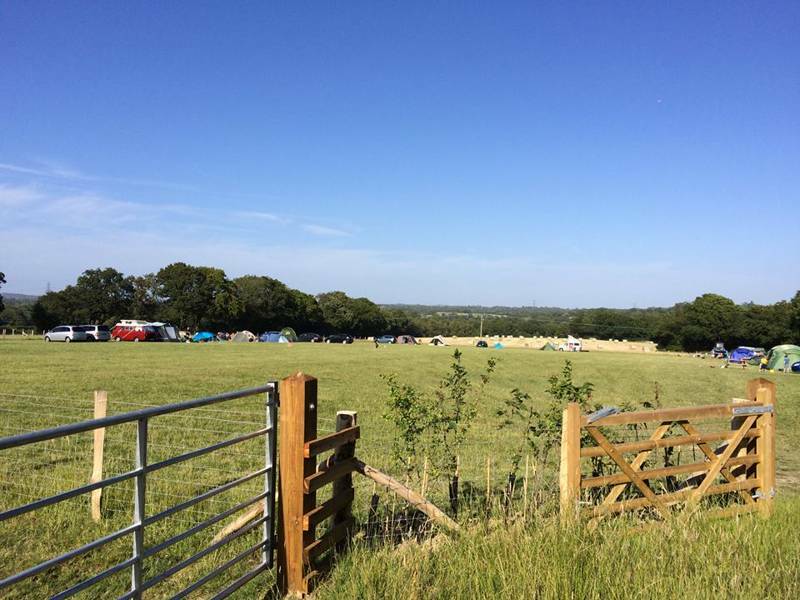 Onsite there is a shop selling milk, farm eggs, local sausages and bacon, along with other camping essentials for the kids such as ice-cream, snacks and marshmallows. There is also an excellent pizza oven. The motor museum boasts a decent tearoom. The nearest pubs are The Halfway House (01825 750382), The Laughing Fish (01825 750349) and The Anchor Inn (01273 400414), all within 1 or 2 miles. April - Sept. Weekends, bank holidays and school holidays. Adults £19.50; children (3–13 years) £8.50; under-3s free. 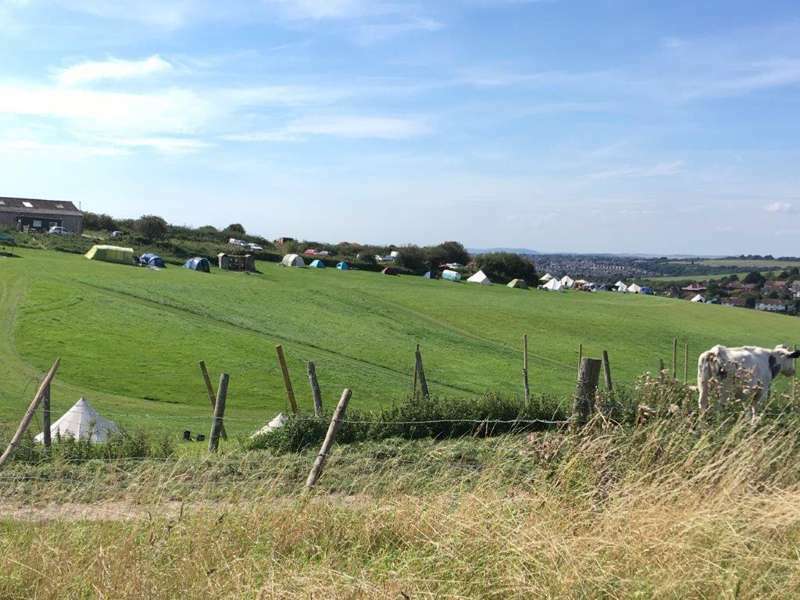 The campsite is just off the A26 a few miles outside of Lewes in East Sussex. 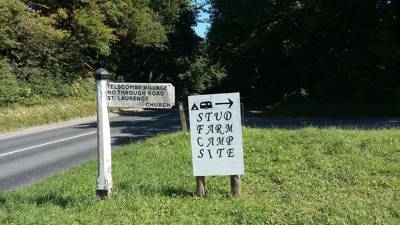 There are numerous signs from the A26 and A22 directing you to the "Bentley Wildfowl and Motor Museum" where the campsite is located. For sat-nav's use BN8 5AF which will take you to the estate. There is a regular train service from central London taking approximately 1.5 hours to Lewes (08457 484950) or Uckfield Station (0845 7484950). You can hop on a bus (route 29/28) which takes you within a mile of the campsite getting off at the Halfway House pub (01825 750382), or you can take a taxi which takes approximately 15 minutes.